When Spanish conquistador Hernan Cortez was asked to describe the Mexican landscape he conquered some 500 years ago, he crumpled a piece of paper and set it on a table. Cortez managed to subjugate an entire country in a few years, but was quick to note that victory had not been easy, largely because of Mexico’s wild and grueling landscape. Fortunately, Mexico’s southernmost state Oaxaca is now an easy flight from Mexico City. Oaxaca offers old-world charm, a mild climate, living Amerindian cultures, stone streets, colonial churches and some of the most important archaeological zones of Mexico. Base yourself in the city of Oaxaca, a place for relaxing, people watching and enjoying the eclectic restaurant scene. 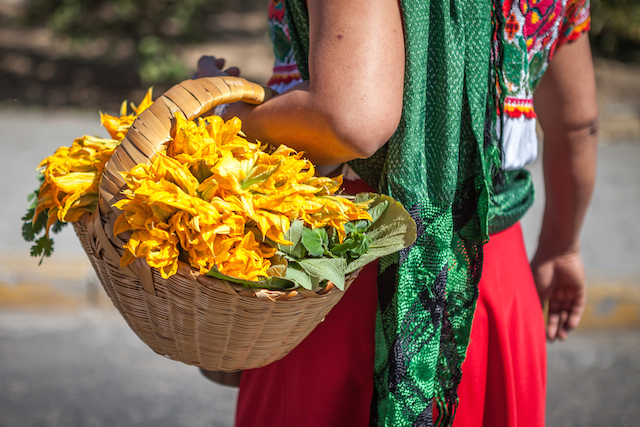 Indulge in the lazy pleasures of outdoor cafes on jasmine-scented plazas, lively festivals throughout the year, and taking in the dazzling dress of the Zapotec Indians. Stay at one of the atmospheric hotels surrounding the main square (also called zocolo), ground zero for absorbing vibrant Oaxacan life, tradition and commerce. The plaza is always bustling with activity, lined with cafes, fountains, and vendors selling everything from gardenias, handicrafts to roasted grasshoppers (a local delicacy). As the city comes to life enjoy a traditional Oaxacan breakfast (desayuno) of atole (a thick sweet corn beverage) eggs, beans, meat, tortillas and fruit while basking in the morning sun. After breakfast, wander into the church of Santo Domingo and view the statue of the Virgin (with real human hair donated yearly and by local matrons). Tour Oaxaca’s museums, among them the Museo de Arte Contemporaneo de Oaxaca (MACO), where artists past and present are on display. Shopping options abound in Oaxaca where local shops and public markets provide some of the best handicraft shopping in Mexico, and shipping is widely available. Oaxaco lures people from the countryside–farmers, craftspeople, and indigenous Zapotec and Mixtec Indians–who set up shop in makeshift stalls or atop colorful woolen blankets. Their children wander the square charming tourists, splashing in fountains or blasting ubiquitous torpedo-shaped balloons high into the air. Oaxacan cuisine, highly regarded throughout Mexico, blends local and colonial traditions, fused into a distinctive whole that has remained intact into modern times. The result is a fresh, robust, exotic, complex cuisine offering a wide variety of flavors, aromas and colors. Chilies are a centerpiece of Oaxacan cuisine as well as seafood from its Pacific Coast, including red snapper, sailfish, shrimp and lobster. Food enthusiasts will enjoy the Central de Abastos, Oaxaca’s main market where food producers from the Oaxaca Valley congregate daily. It’s loaded with dried chilies, moles, aisles of spices. Try “angel’s hair,” squash fibers in a green, boiled, sweetened liquid flavored with lime peel, pineapple and quesillo, a stringy, elastic cheese sold everywhere. Oaxaca’s historical and cultural treasures lie just outside the city, including Monte Alban, the ancient “floating” city on a hilltop plateau. Other nearby villages offer markets and craftspeople who produce folk art, weavings, ceramics and carved wooden figures. Dining options abound in the town center. The comida or main meal is taken between 2 p.m. and 5 p.m. when most businesses close and workers return home. Comida corridas are economical mid-day meals, consisting of a main course, soup, beverage and dessert. Evening dinners or cenas are generally between 11-12 p.m. Several restaurants serve Italian, French, Chinese, Argentine or Lebanese cuisine. In Oaxaca, moles are king. These complex sauces of ground peppers and spices are the region’s signature dish, earning Oaxaca the title “land of the seven moles.” Moles are frequently served over chicken and contain up to 32 ingredients, including chiles, seeds, spices, fruit and chocolate. Moles are part of Oaxacan spirituality. Families make celebrated moles in November on the Day of the Dead, in honor of their ancestors, according to treasured family recipes and placed on the family altar in expectation of a visit from departed souls. 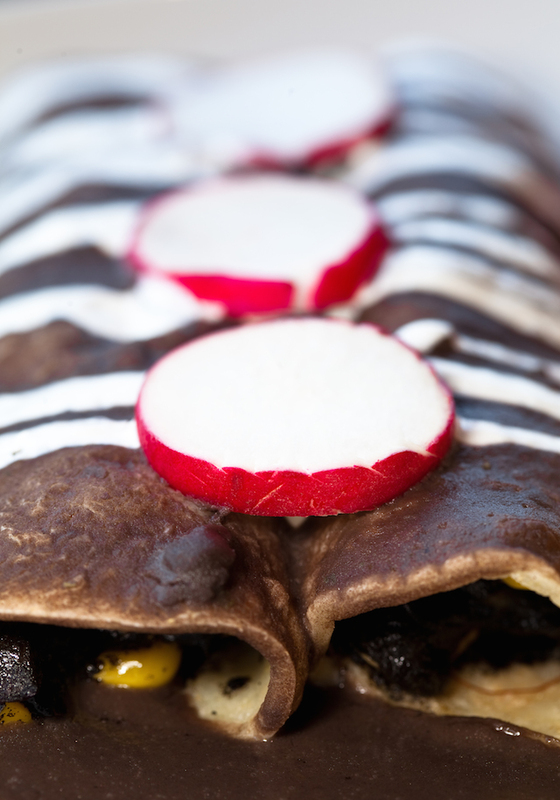 Consider visiting during the ‘Food of The Gods’ festival in early October, which celebrates pre-Hispanic, colonial and modern variations on Oaxican cuisine. The festival offers classes on the pre-Hispanic and present day use of medicinal herbs, a dine-around at Oaxaca’s finest restaurants and visits to a chocolate company. 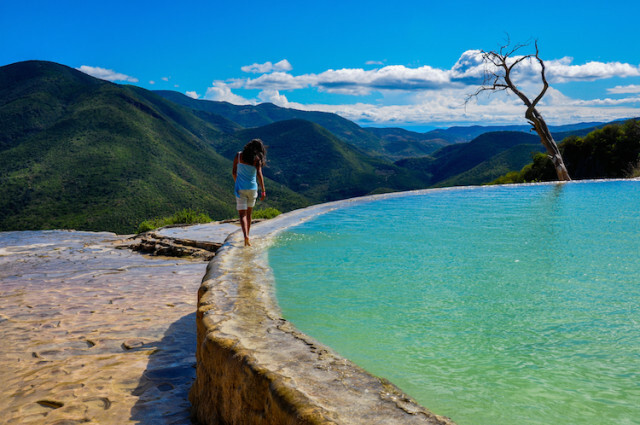 Though Oaxaca is no longer undiscovered it remains a place to experience unadulterated Mexico precisely because of its geographic isolation from the rest of the country. But for today’s traveler, reaching this Oaxaca is a little smoother than in the days of the conquistadors, a tempting proposition to return again and again. Would love to visit Oaxaca and indulge in a truly authentic mole. Thx for the post.